Like most patrons of the fantastic facility that is the Film Archive, I bear scars on my legs from the constant attack around the calves of the world’s most badly designed chairs (the un-finished ends of the angle-iron cross bars scratch stockings, rip jeans, and pierce bare skin). As I sit here with my leg quietly bleeding onto the carpet at Eye of the Fish world Headquarters, I still have to say that despite that, the Film Archive is doing a fantastic job in Wellington. Not only do they show an endless variety of really good, little known New Zealand films (the current film, Land of the Long White Cloud, by Florian Habicht, is an absolutely lovely piece of work that makes up for that idiotically time wasting film, ‘Wooden Head’ he made a few years ago), but they also never cease to surprise me with the things they uncover. They’ve been carefully shifting thousands of boxes of stuff out of the central city, perhaps in reaction to the possibility of the unfeasibly tall / ugly monster of a building next door collapsing onto them. Some of these boxes contain old film stock, based on – have I got this right – nitrate stock, that effectively decomposed to become nitro glycerine – aka high explosive. While I’m tempted to suggest that the Film Archive stick a couple of boxes of some old reels under the Sodo apartments, just to test theories on building freefall, they are far more responsible and are moving it to Plimmerton. In Plimmerton they are apparently building a big coolstore type box, like a Te Puke kiwifruit packing shed, but in this case just designed to keep the heat off the aging film stock. We’re not sure if this is an architectural marvel, and sincerely hope that it doesn’t blow away the last tiny fragments of genteel civilisation that cling to the edge of the rocks in Plimmerton, but are enjoying the snippets of news that leak out from time to time. 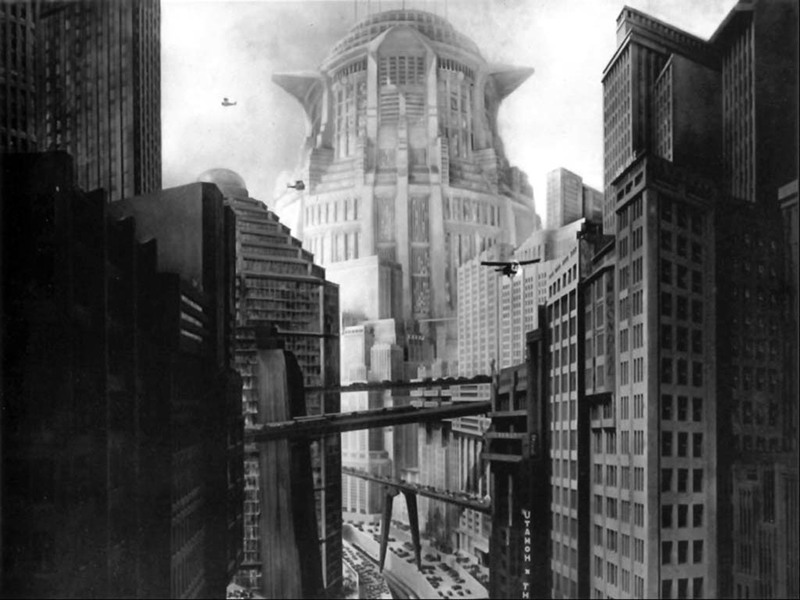 This week we’ve heard that some unknown reels of an old urban design favourite of mine, Metropolis, have surfaced and been sent to Germany to be reunited with the rest of the film. 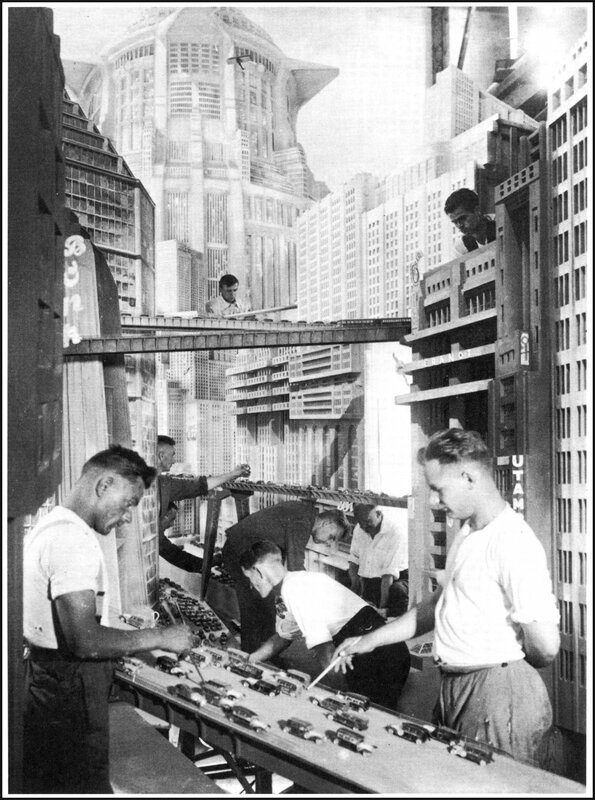 We’re looking forward to seeing the final lengthened completed cut as well – one of the great robot love stories, a tall of workers woes, and a fine depiction of urban design flyovers gone mad. Hope it makes it back here fast. The seats at the Film Archive are diabolically uncomfortable. I’ve tried to work out what’s so wrong with them, and I suspect it has to do with the seats being less deep than a usual cinema seat. And then there are the hard little armrests that dig into my thigh if I ever shift on an angle. It’s almost like the seats have deliberately been designed to not be too comfortable, like park benches designed to stop homeless people napping on them. 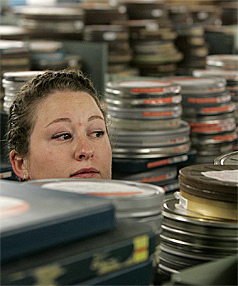 It will be a happy day indeed when the Film Archive gets proper seating. Sounds like a great place… perhaps the money ran out before they could buy themselves a set of Aerons for the cinema. Perhaps it was the same designer who did the original chairs at the central library! Starkive- Aerons – Now you’re talking ! In the mean time I’ll settle for a rubber grommet or some shin pads. Robyn – I get a sore bum wherever I sit. Think it must be something to do with my svelte, slippery, fish-like body. Or else just that Fish have no arse. Maybe I’ve got flipper envy! Even the rickety old chairs up the back of the Paramount are more comfortable than the FIlm Archive’s chairs. They should go marae style with some foam pads on the floor. Rip the seats out and replace them with beanbags. I sat in a beanbag in a cinema in northern NSW once, and it was brilliant. The film (one of the dull Hobbit films that Peter Jackson made) was unspeakably boring and I dozed off mid way through.